​Toledo Bikes! has a place for you to work on your bike. With stands, work benches, and many many specialty tools to work on a wide variety of bikes. No appointment necessary. 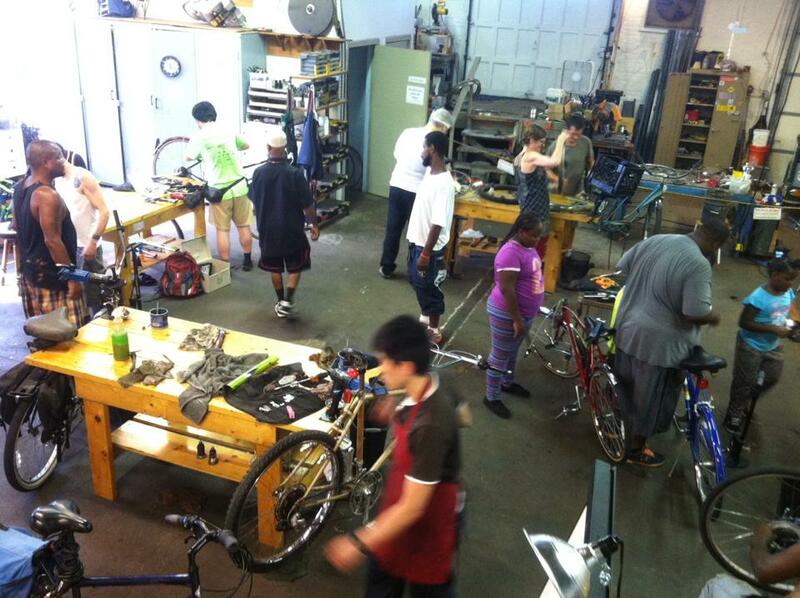 ​When you come in we will pair you with a mechanic who can help you work on your bike. Patching your own flat is always free! We're happy to show you how to remove your wheel, patch a tube, and put it back together. Work on your own bike with the assistance of trained bicycle mechanics.